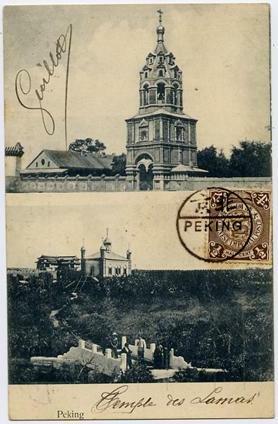 This two-story Cathedral with five domes was built in 1903 on the site of the original St Nicholas Church at the grounds of the Russian Ecclesiastical Mission in Beijing where many of the martyrs were slain. 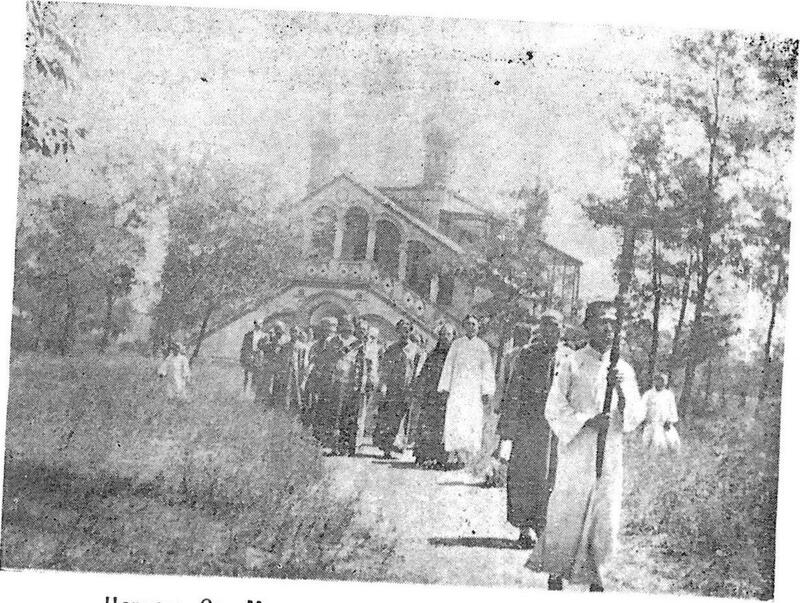 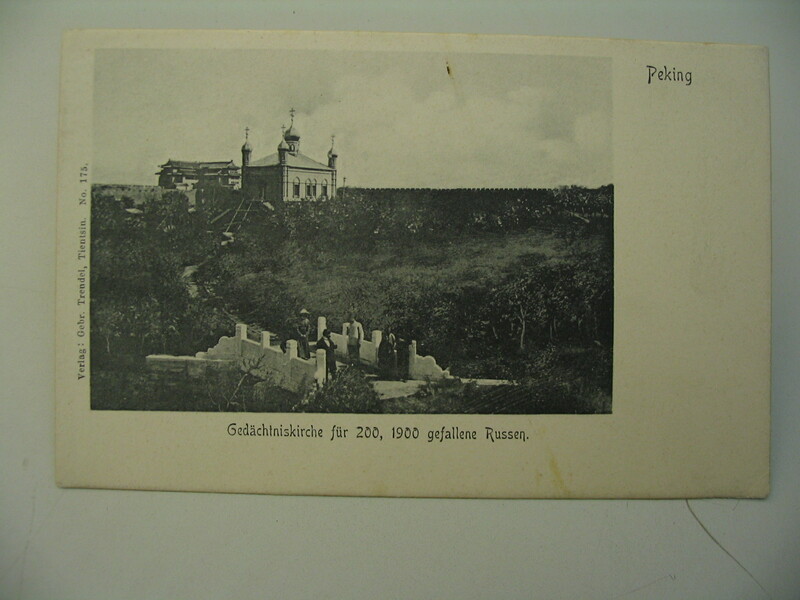 Thus the church was dedicated to all the Holy Martyrs of the Yihetuan Uprising. 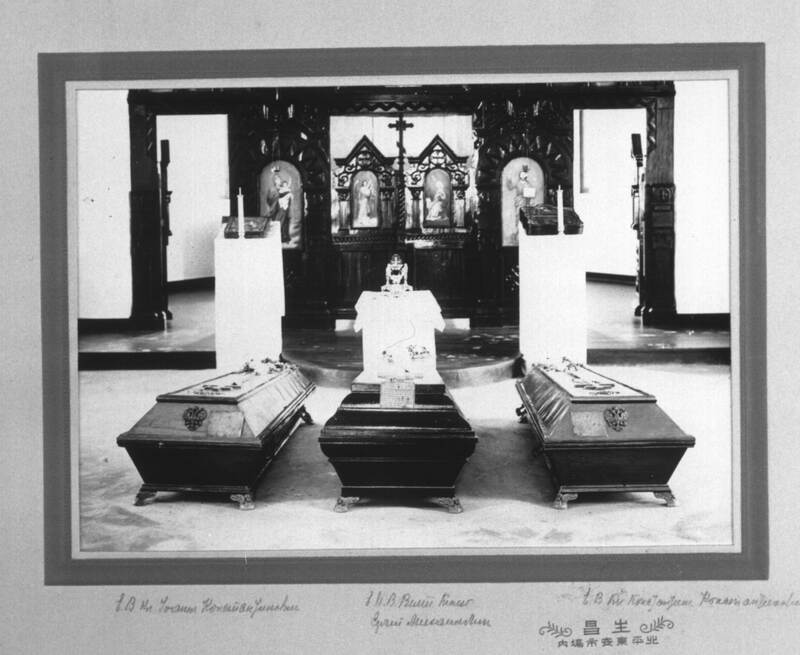 The sacred relic of the 222 Chinese Holy Martyrs was kept in a crypt under the altar. 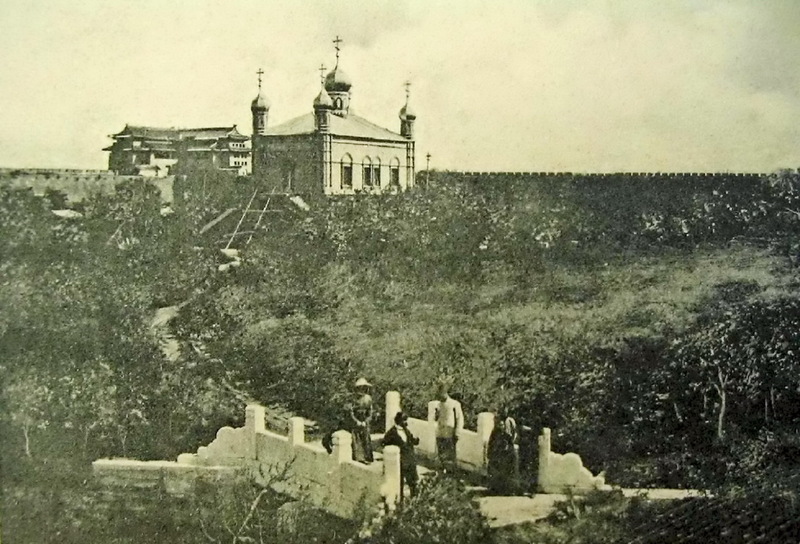 In the background behind the church is the monument above the tomb of D. L. Horvata. 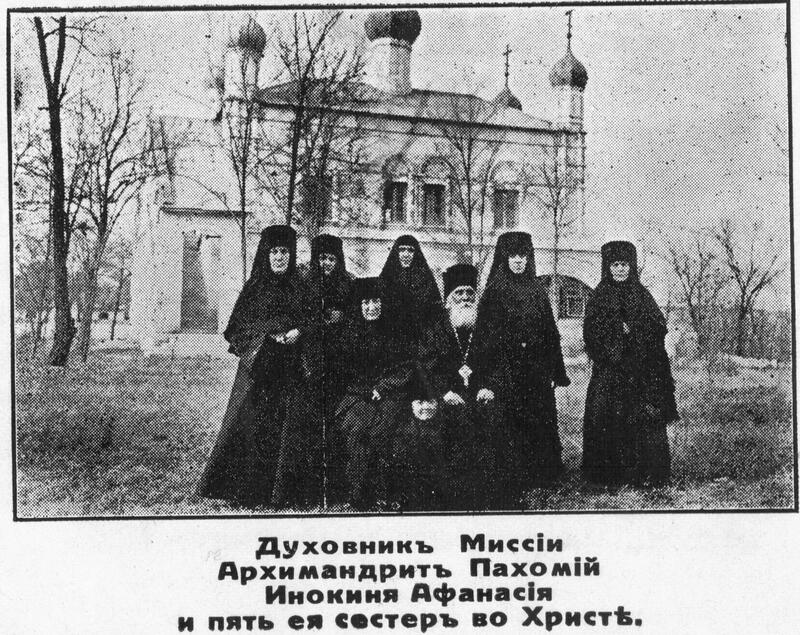 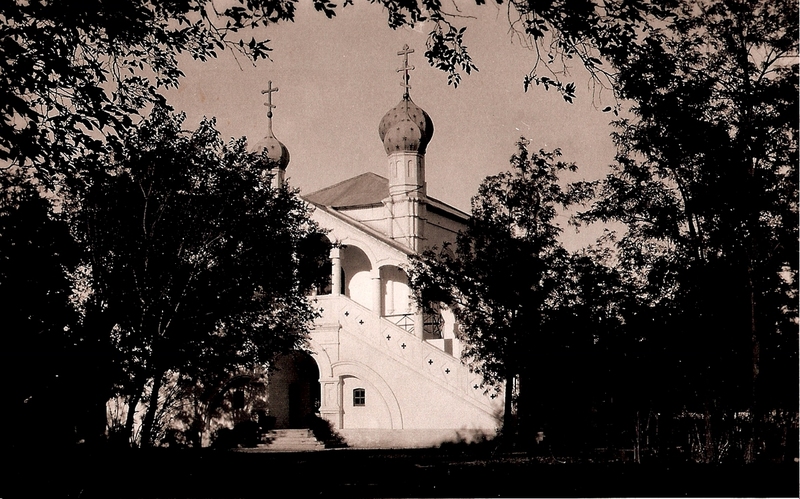 In 1938, the remains of the Alapayevsk Martyrs that were at St Seraphim Church were exhumed and transferred to the crypt of the Church of All Holy Martyrs. 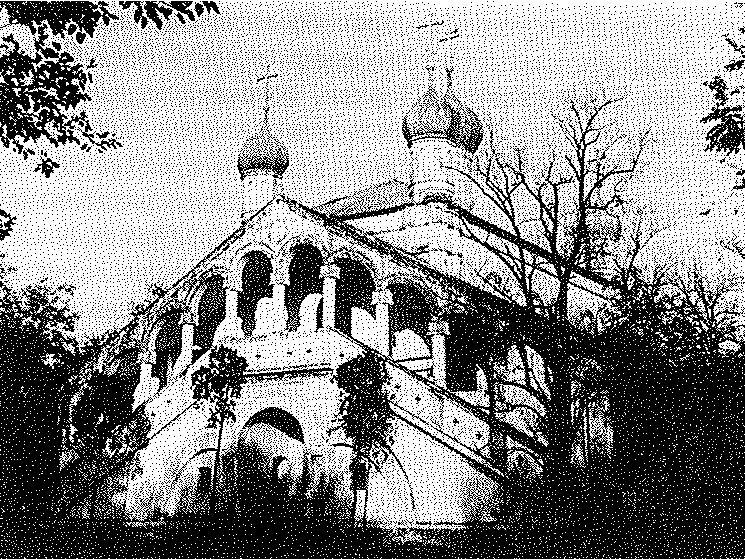 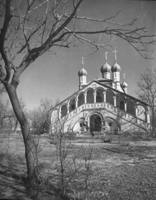 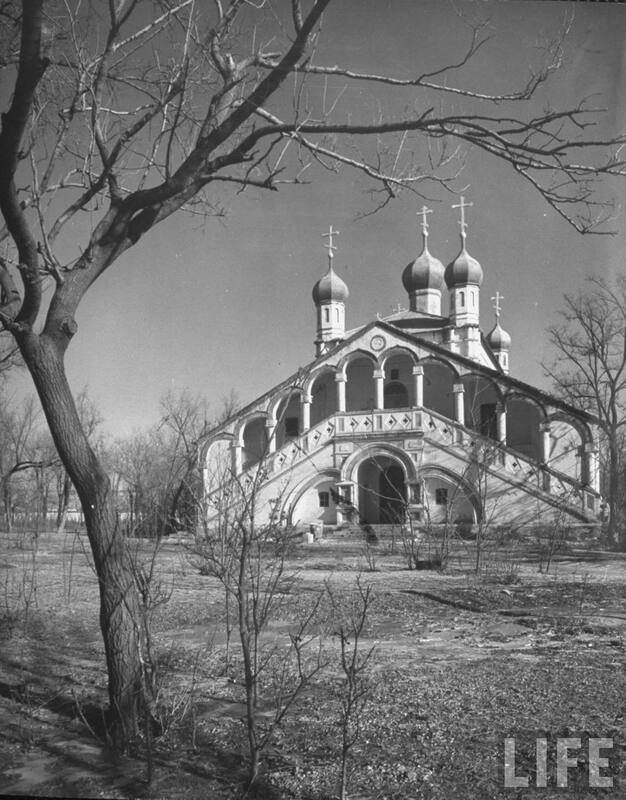 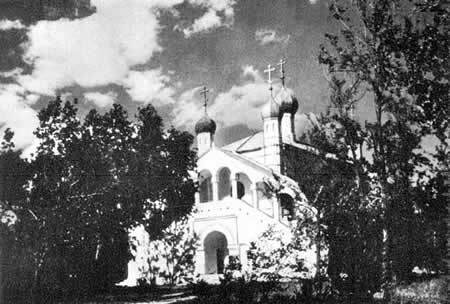 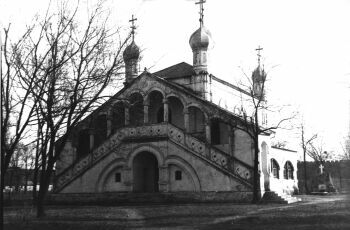 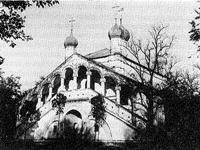 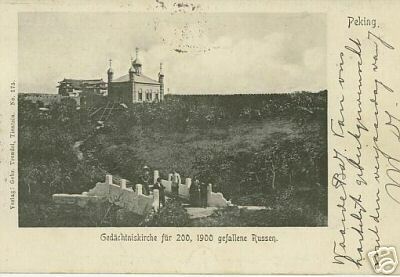 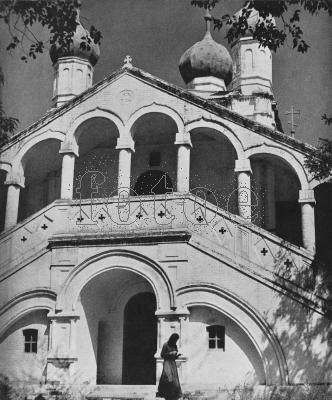 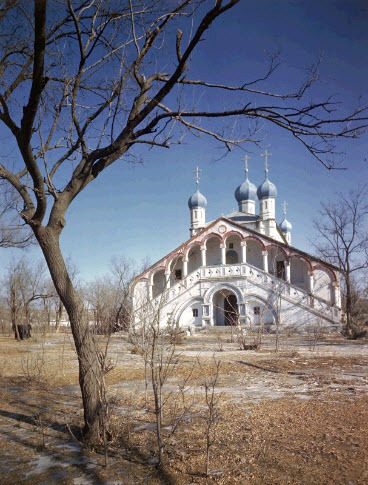 After the property of the Mission was transferred over to the Soviet Embassy, the Church of All Holy Martyrs was destroyed along with the rest of the mission property in 1957 by the Soviets. 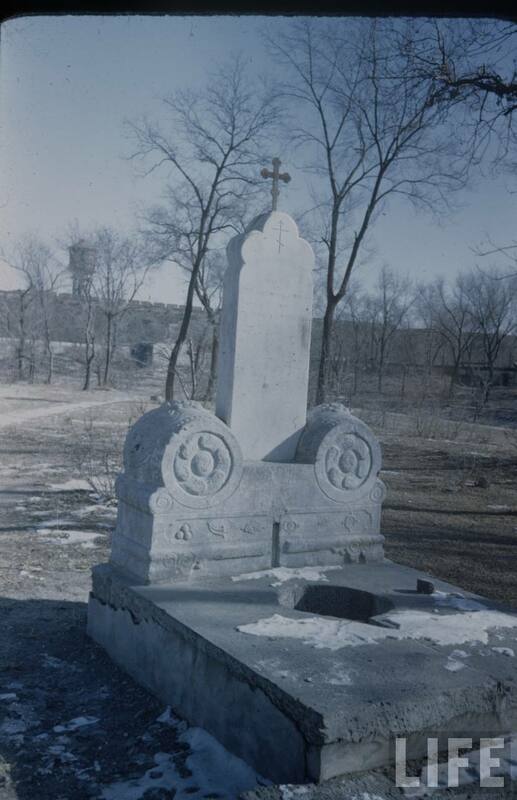 Also near the church on the Missions ground was the memorial monument in memory of the 222 Chinese Martyrs. 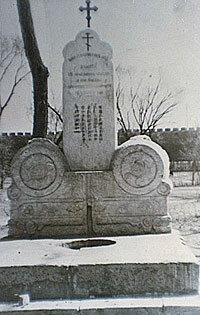 The monument was erected by Archbishop Victor in 1935 (when the Mission celebtated 200 years of its operation in China). 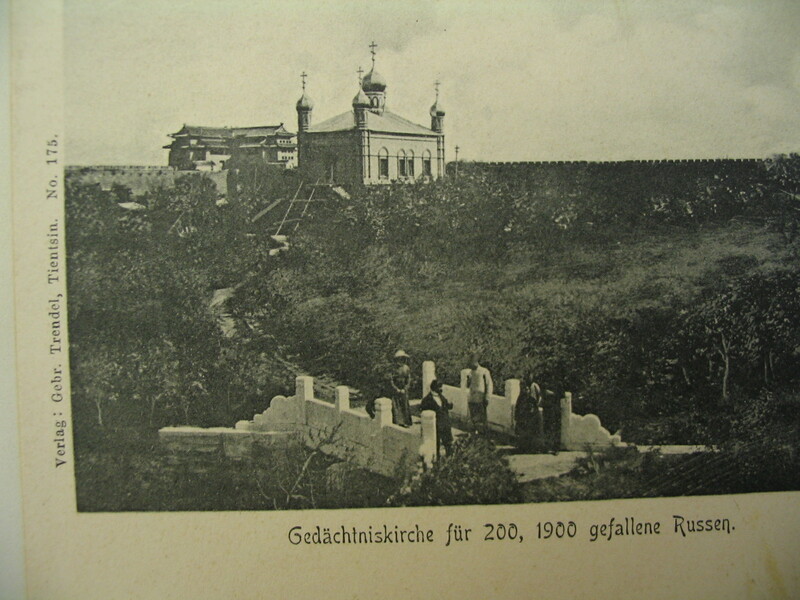 It was situated 100 meters south-east from the temple, exactly at the place where there was the well. 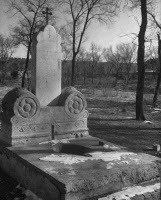 All the dead bodies of Martyrs were dropped into this well in 1900. 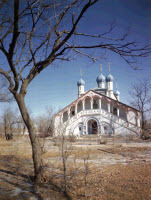 In 2005, this well has been located with georadar by Boris Alexandrov ( Kepping), grand-nephew of Abp Victor. 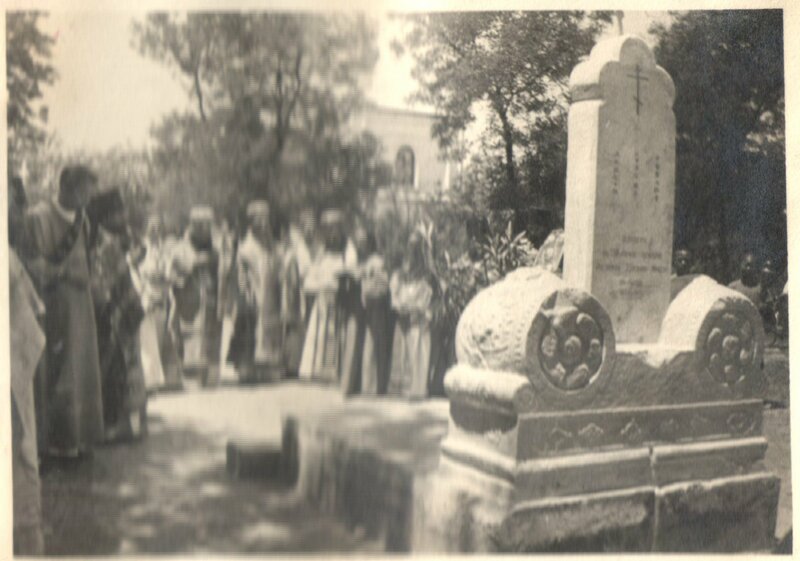 He has also found the broken slab, which was lying for 50 years in the Embassy park. 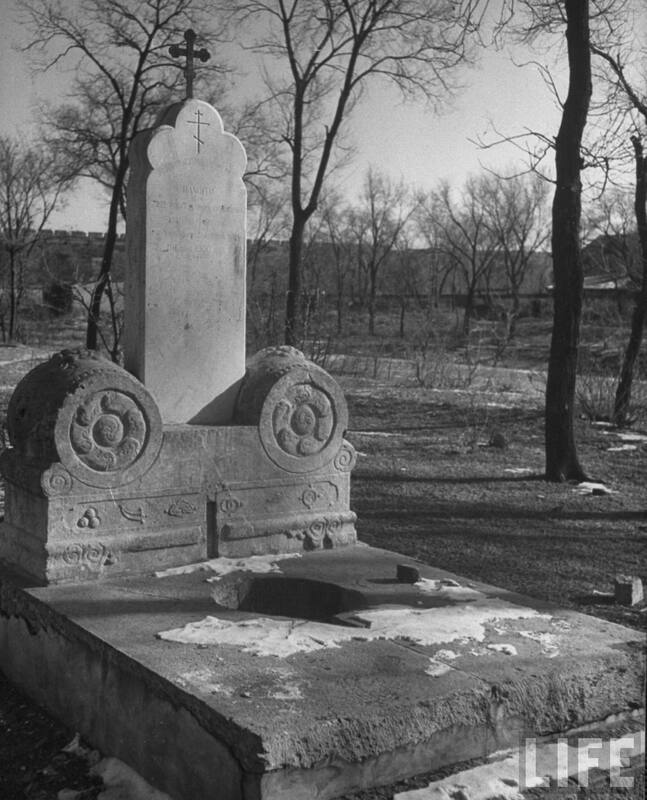 Now, this slab is placed on a pedestal. 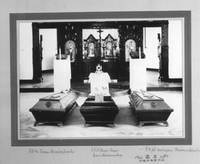 in crypt of All Holy Martyrs Church. 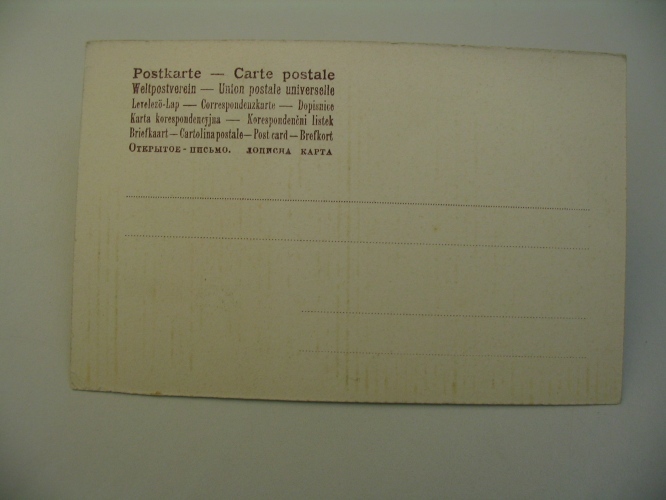 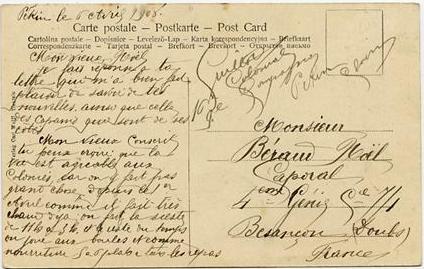 Handwriting at bottom by Abp Viktor (Sviatin). 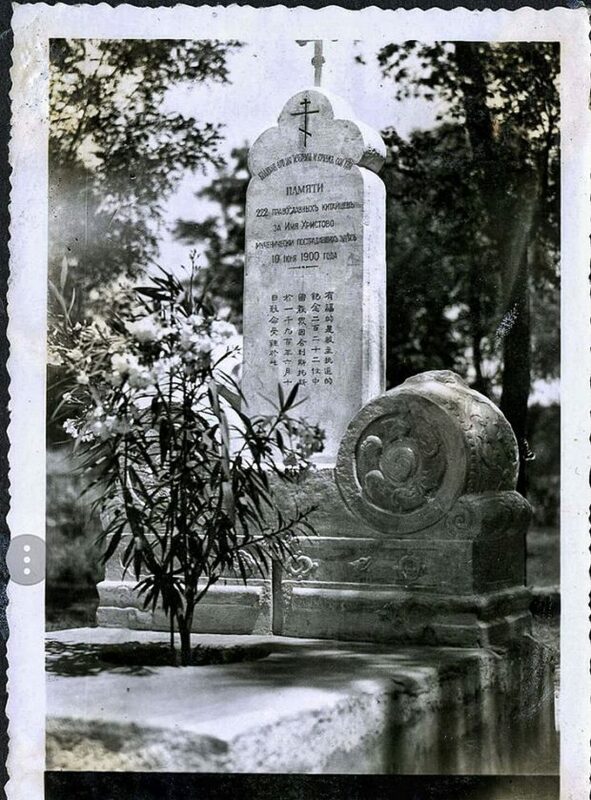 martrydom of Holy Chinese Martyrs. 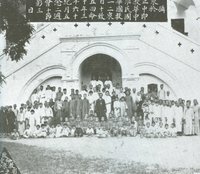 photo from "Christ the Eternal Tao"